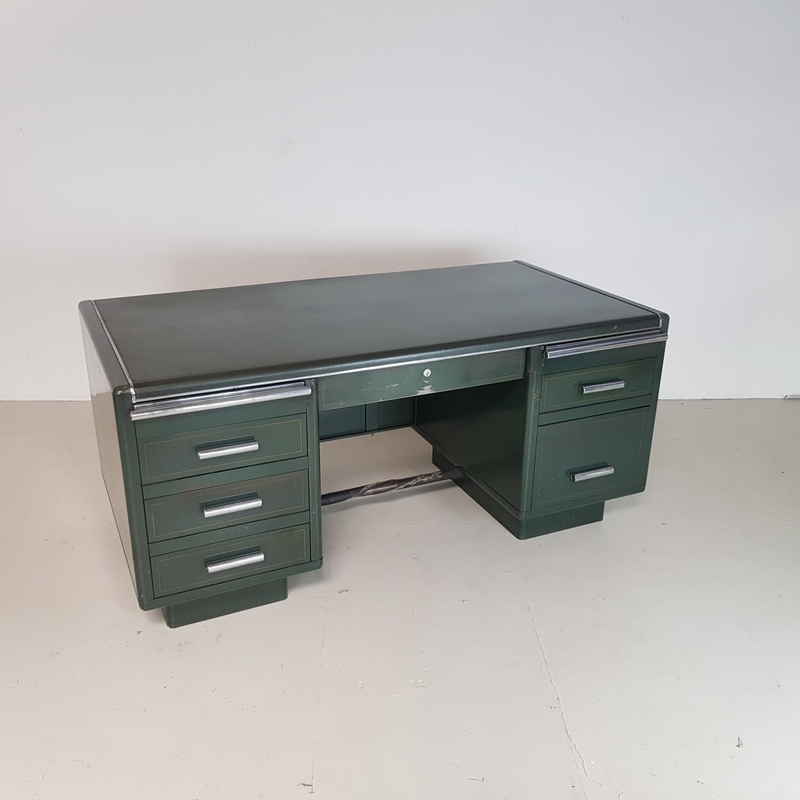 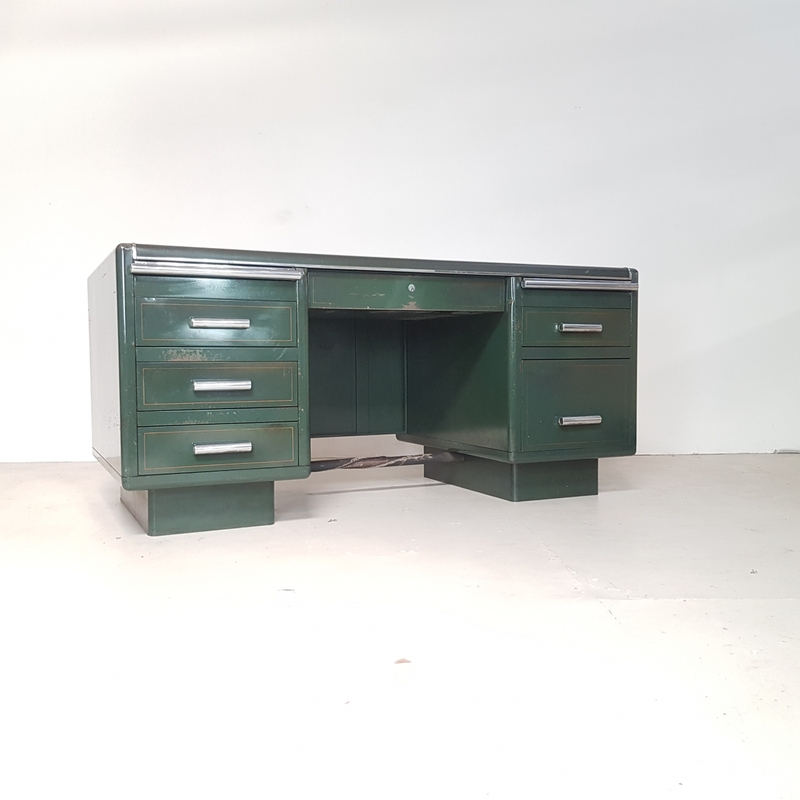 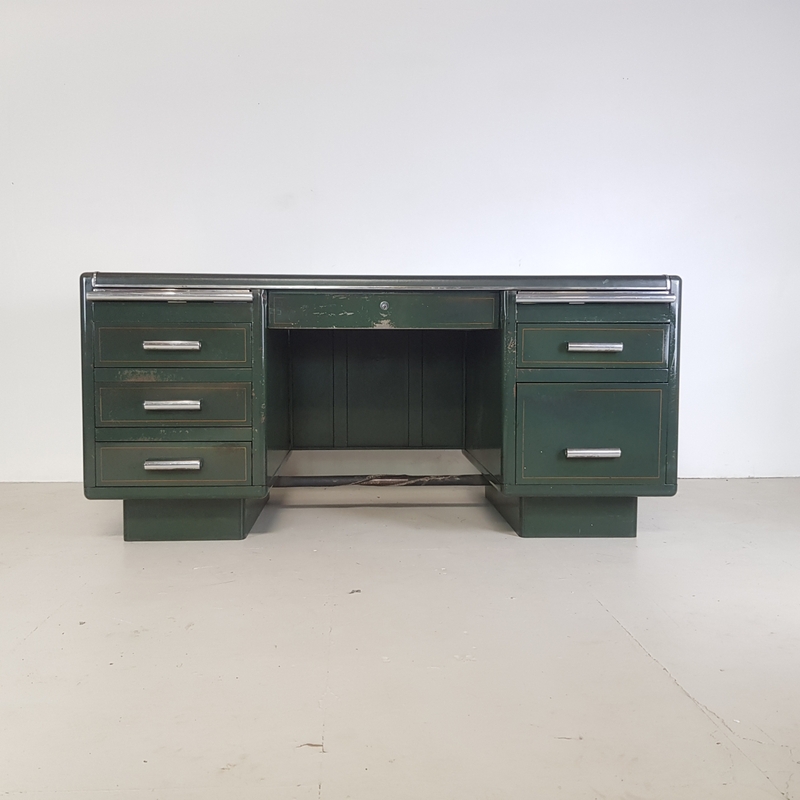 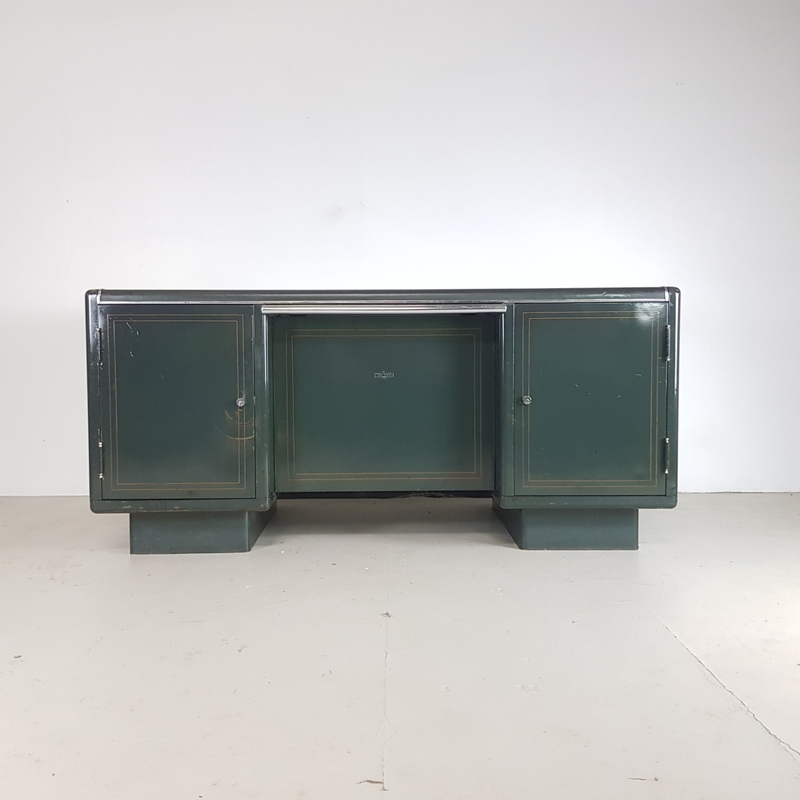 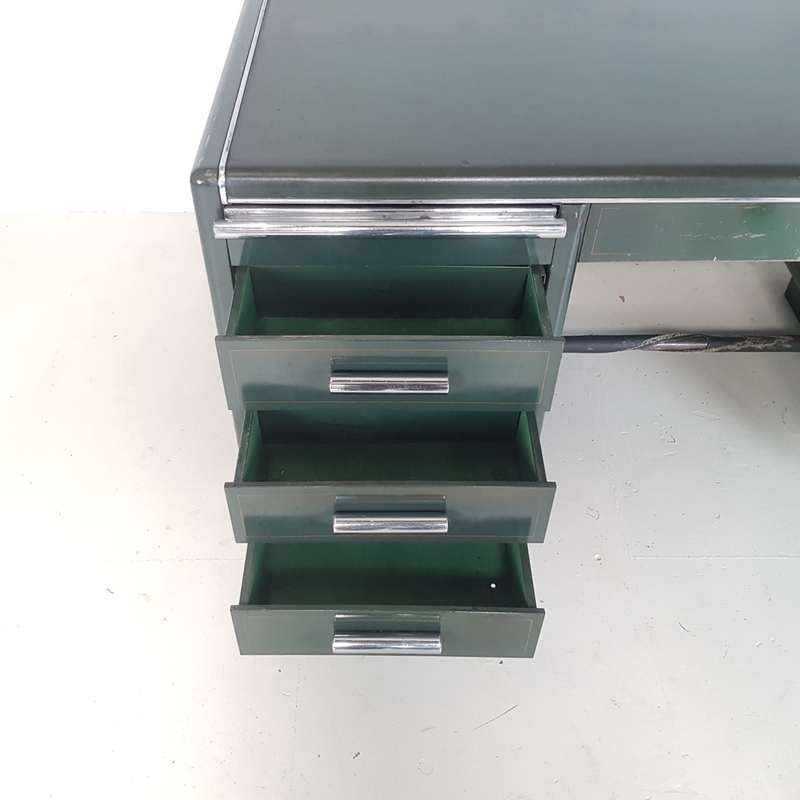 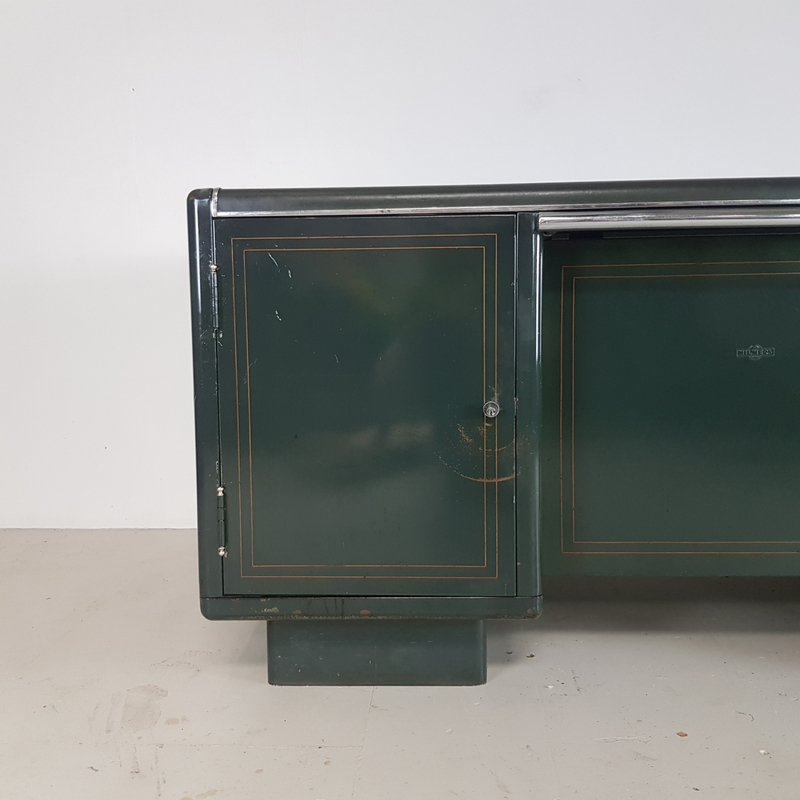 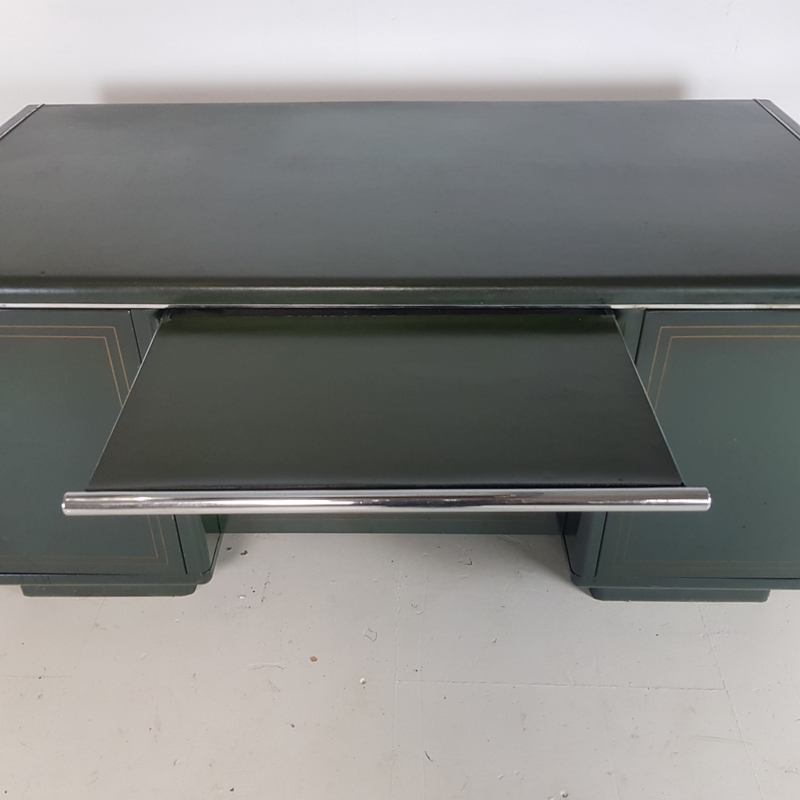 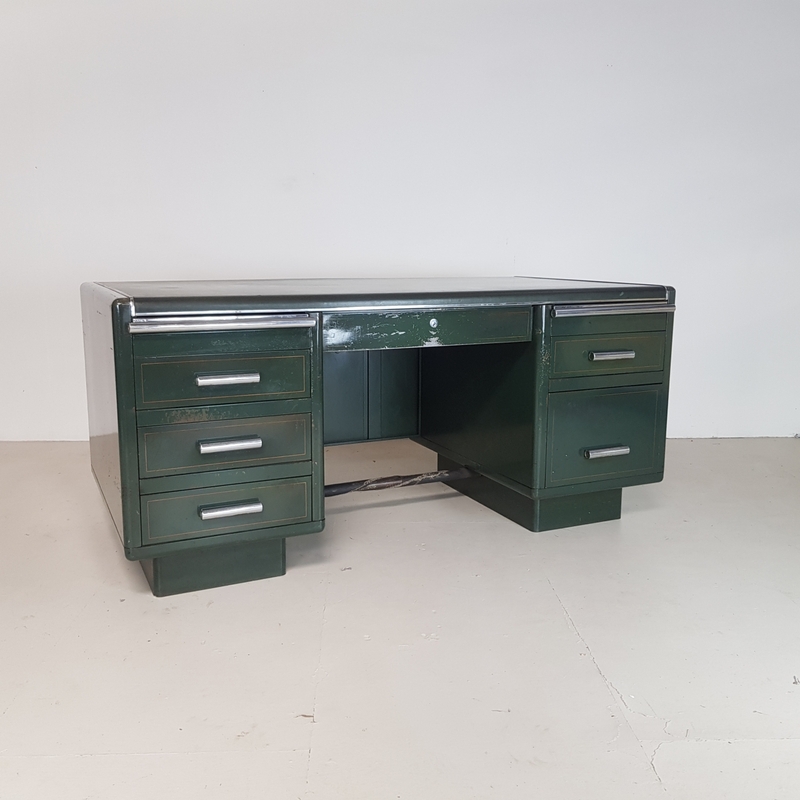 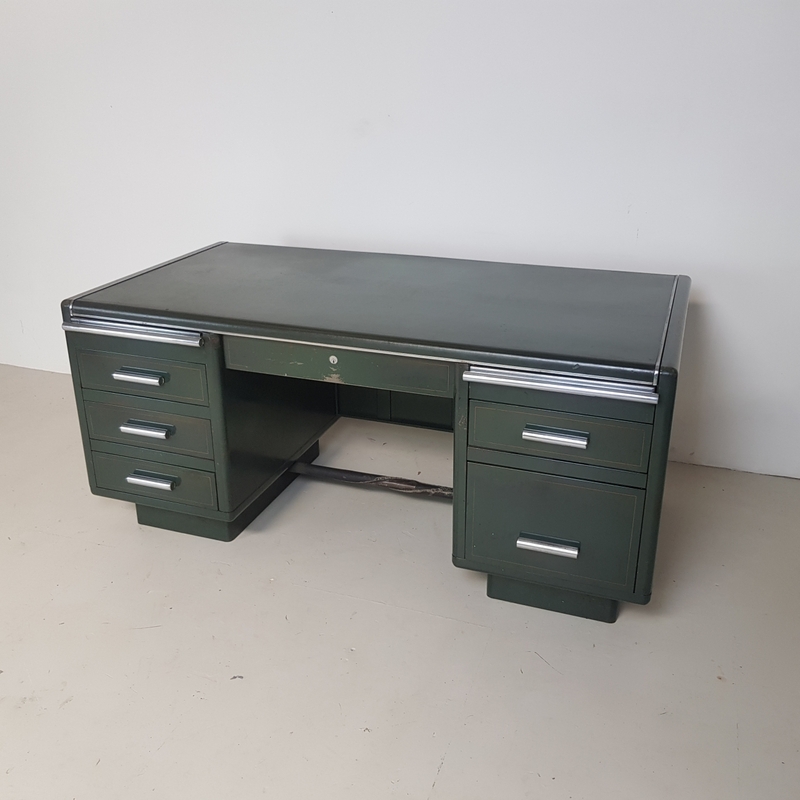 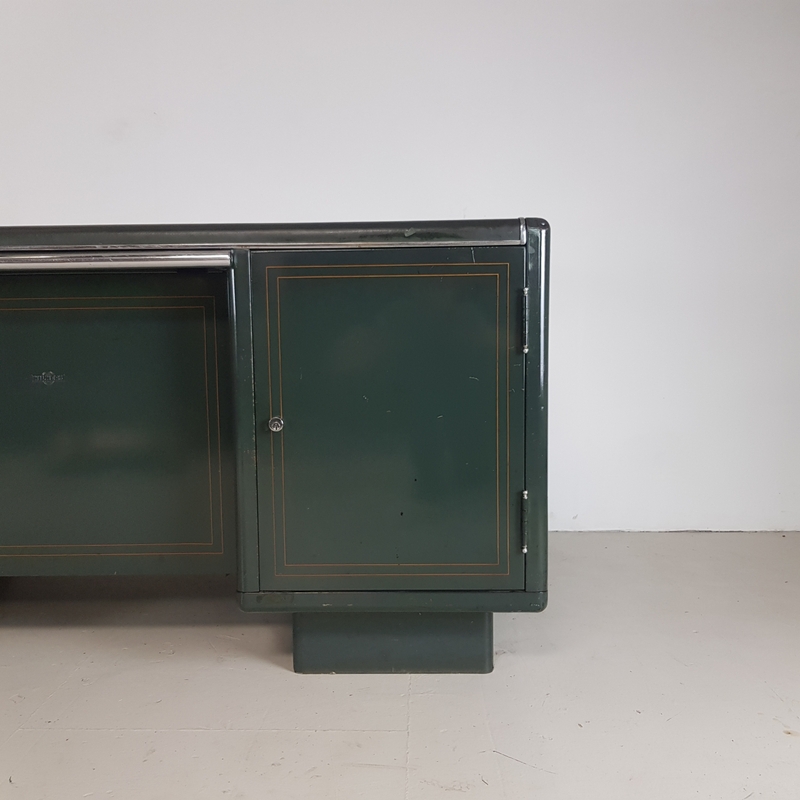 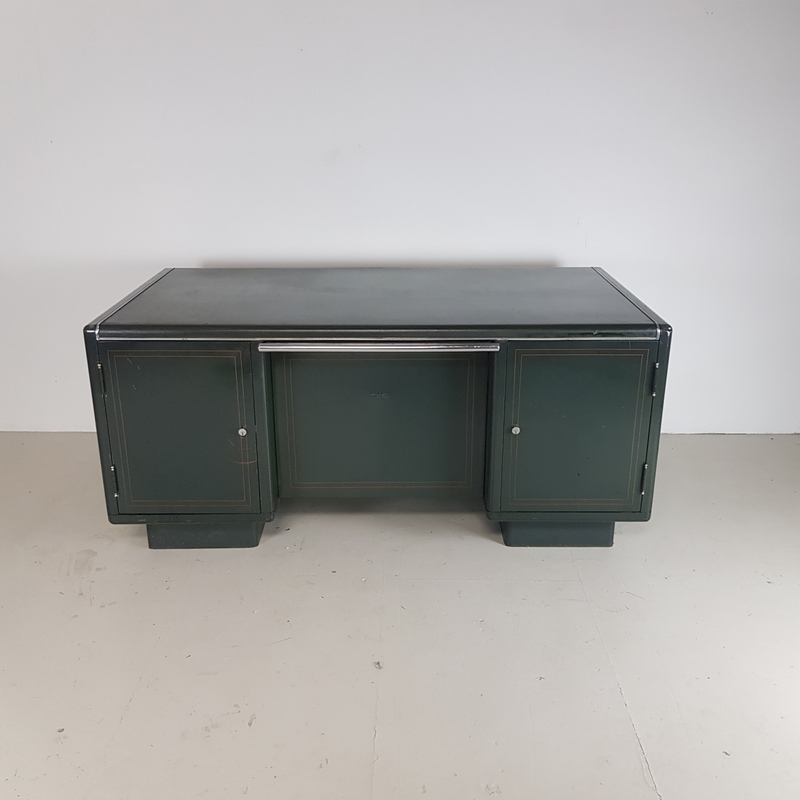 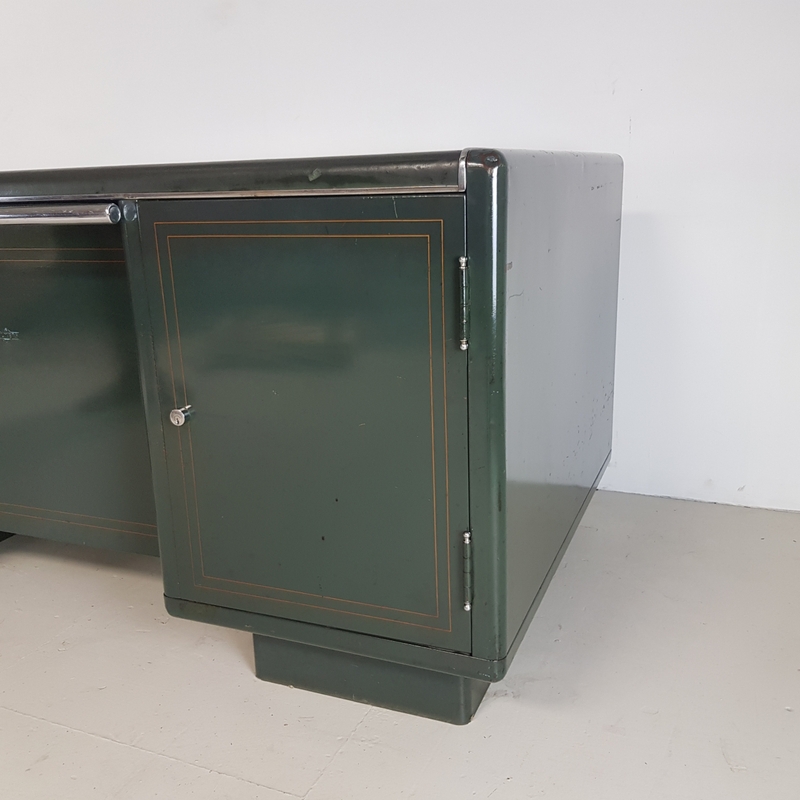 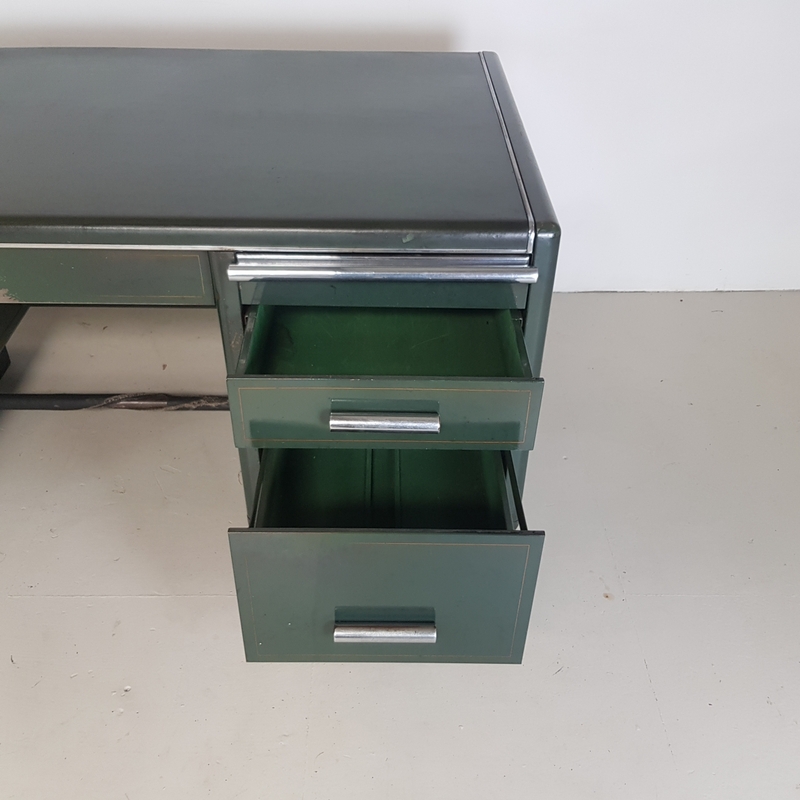 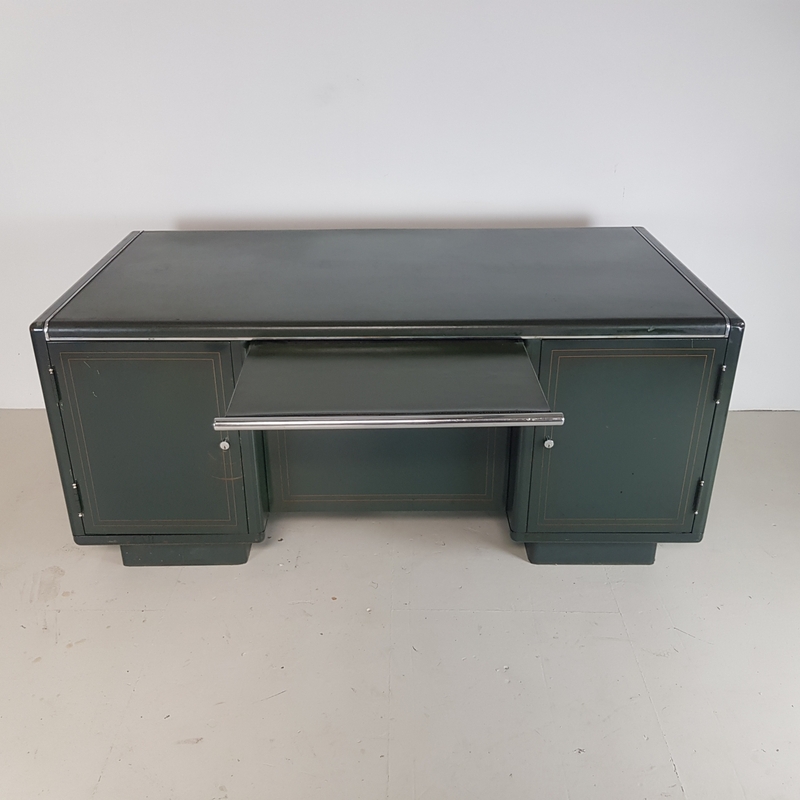 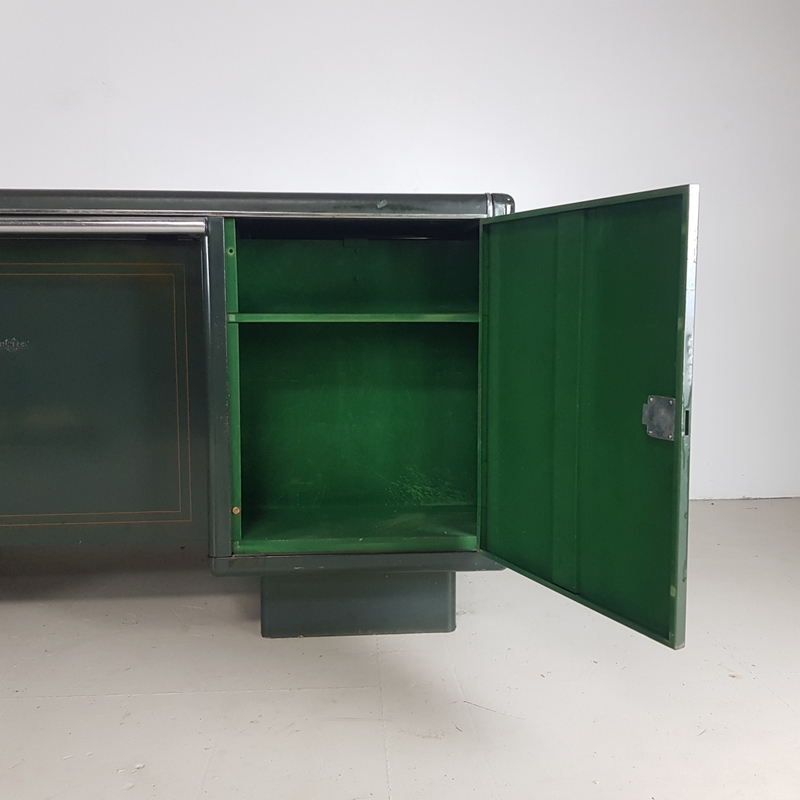 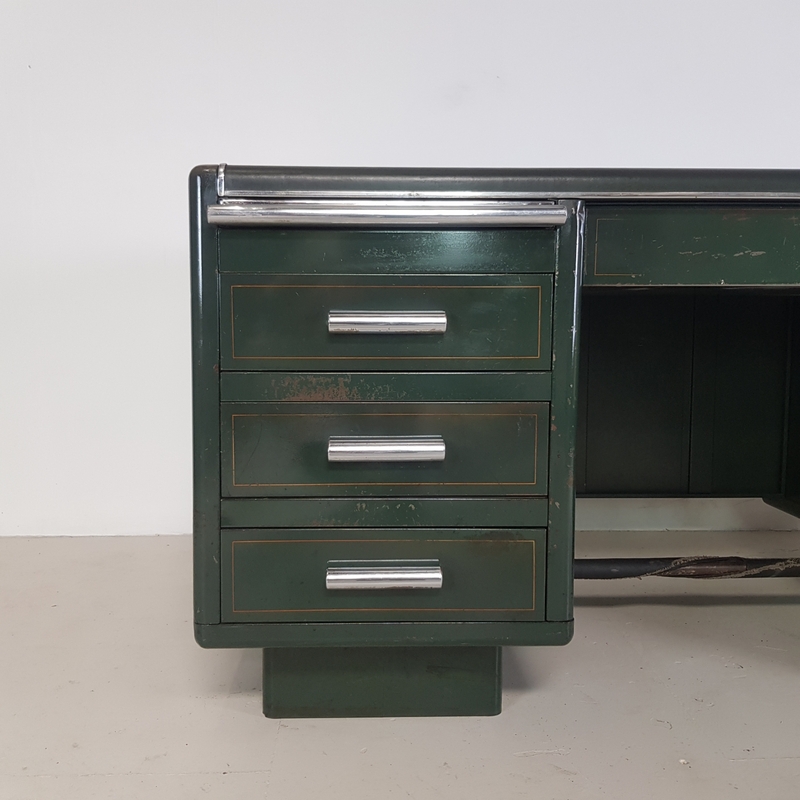 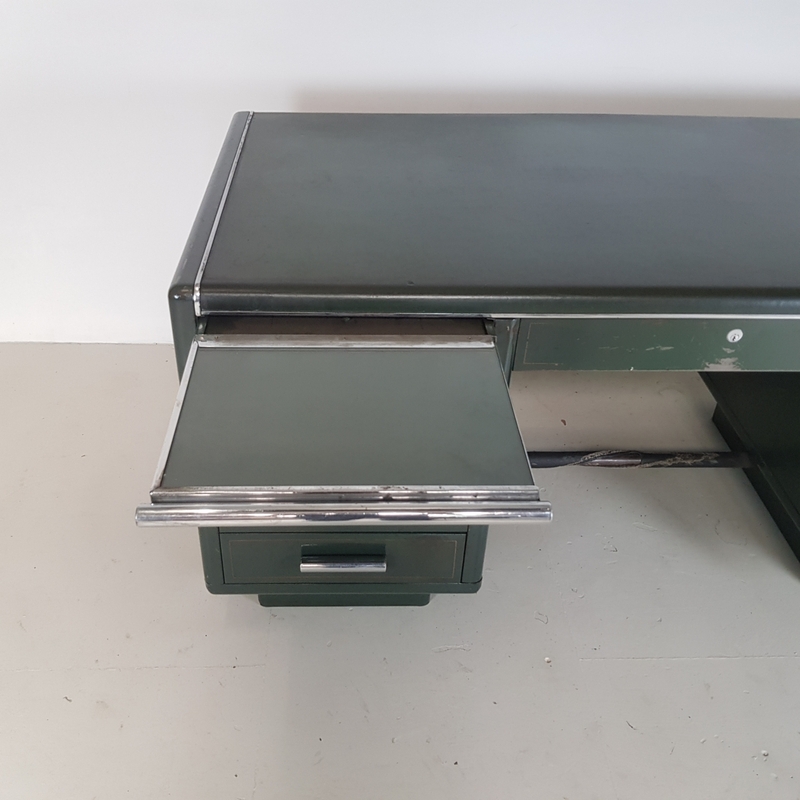 Lovely vintage double pedestal partners steel desk. 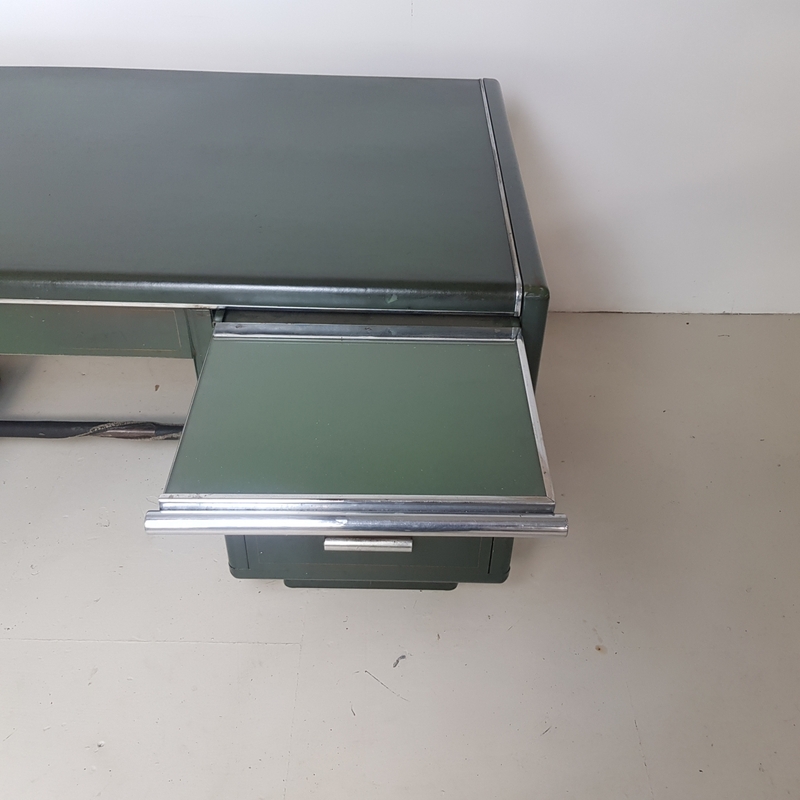 This desk can be used from both sides. 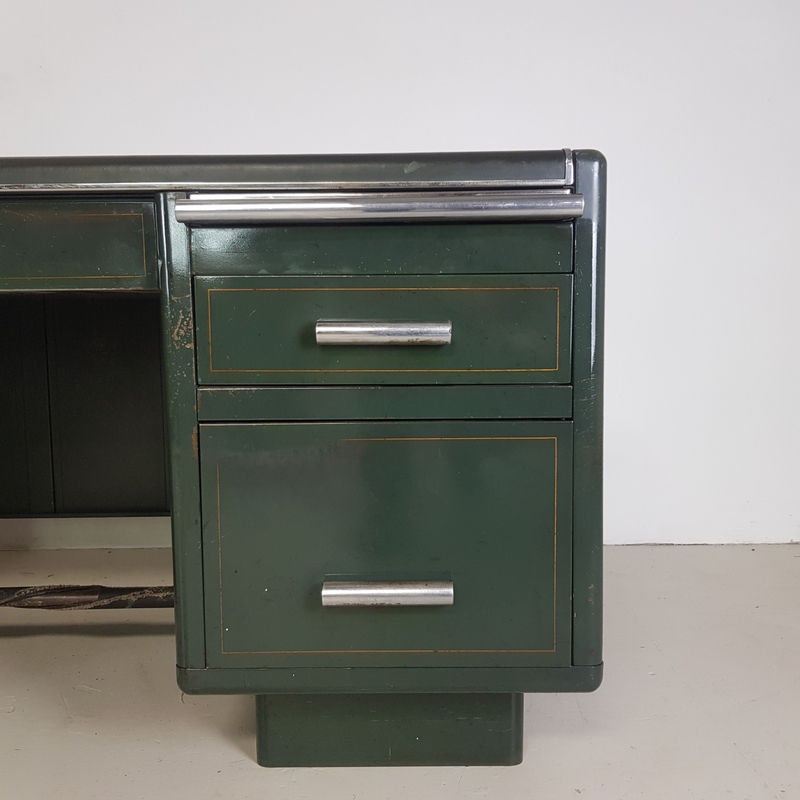 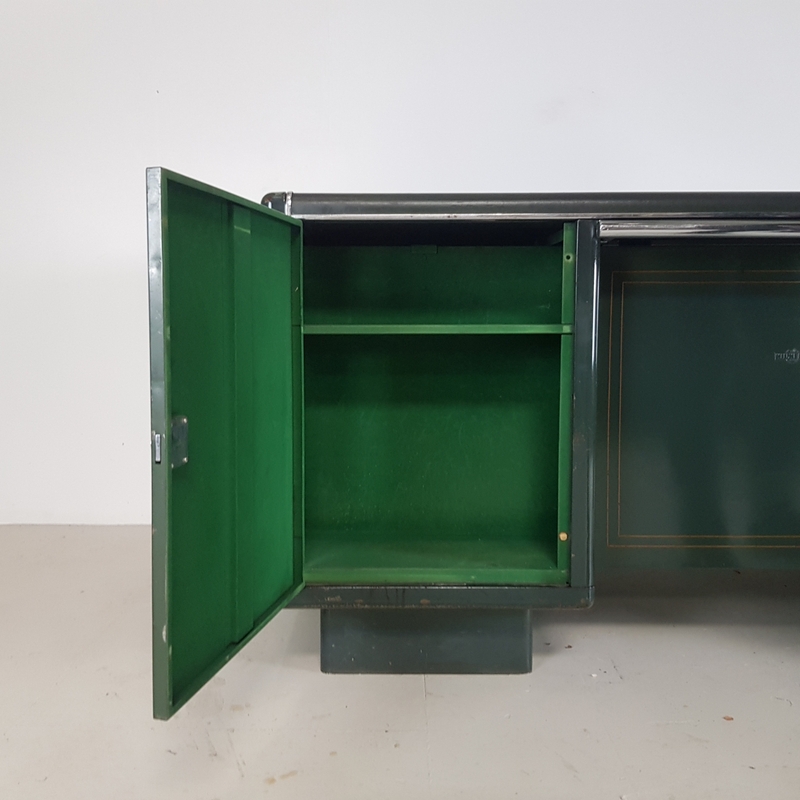 Drawers on one side and cupboards on the other. 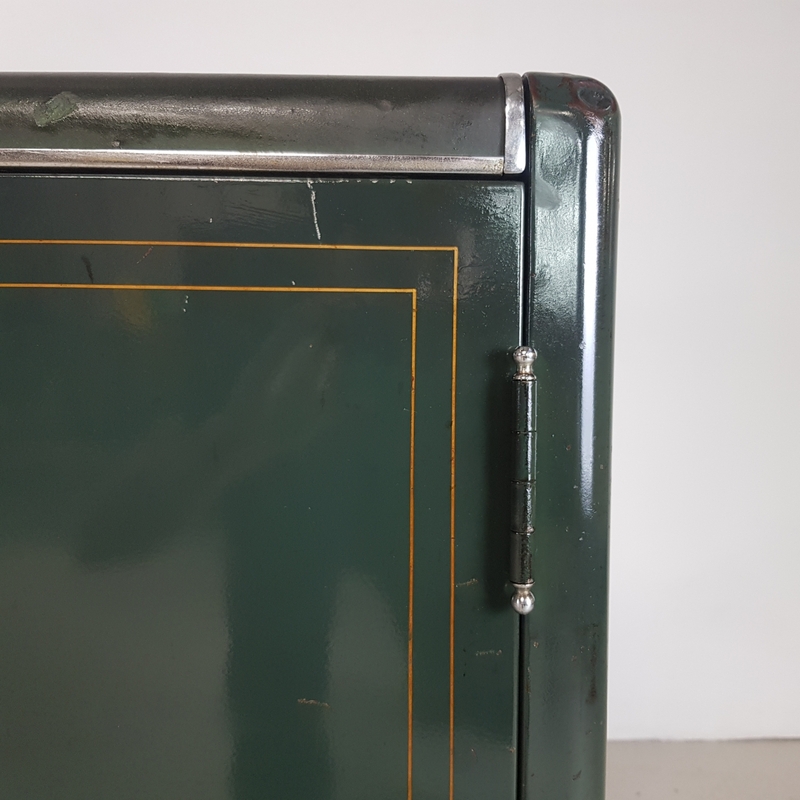 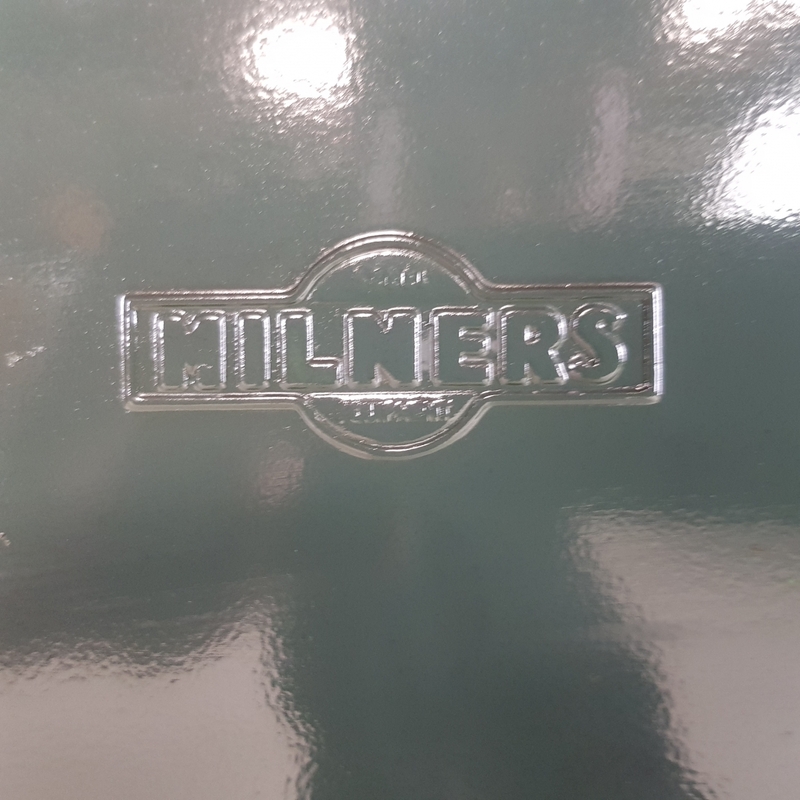 In its original dark green paintwork.